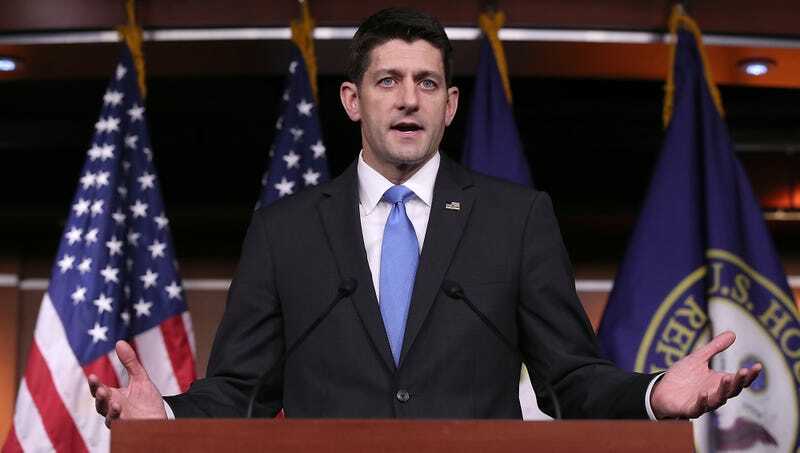 WASHINGTON—Following testimony by female lawmakers alleging widespread sexual misconduct throughout Capitol Hill, Paul Ryan announced Thursday that Congress will undergo new sexual harassment training to create a safe work environment and plausible deniability. “This comprehensive three-hour course is designed to promote a healthy workplace where women feel protected and ensure our hands are clean when senators or representatives are accused of sexual assault,” said the speaker of the House, noting that the mandatory training sessions would teach legislators how to recognize sexual harassment and provide the tools needed to brush off claims against individual congressmen. “This is a long-overdue step in covering our asses and also making sure the House and Senate are safe places for women to work. Once everyone has completed the training, we’ll be able to confidently claim we’ve done our most basic due diligence as new allegations surface.” At press time, Ryan was asking low-level staffers not to sign their bosses’ names to the training sign-in sheet if they were not actually present.